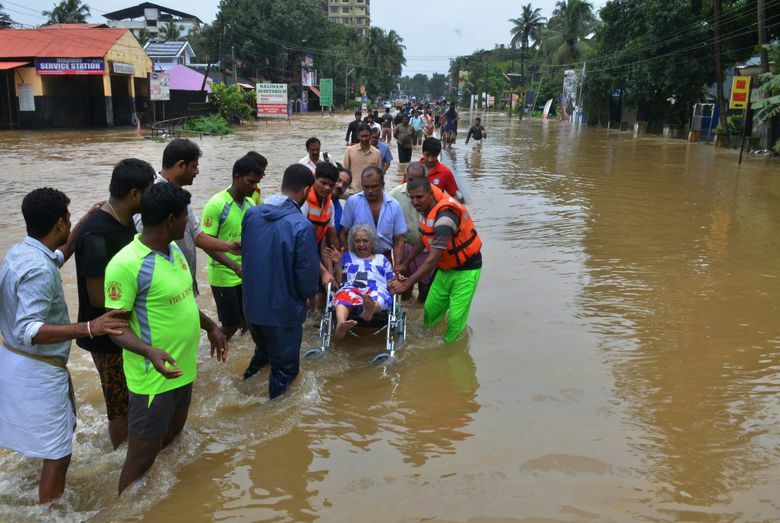 TRIVANDRUM, India (AP) — Thousands of stranded people were waiting to be rescued and officials pleaded for more help from relentless monsoon floods that have partially submerged the southern Indian state of Kerala, where more than 190 have died in a little over a week. Heavy rains hit parts of the state again Saturday morning, slowing attempts to deploy rescuers and get relief supplies to isolated areas. Many have seen no help for days and can only be reached by boat or helicopter. 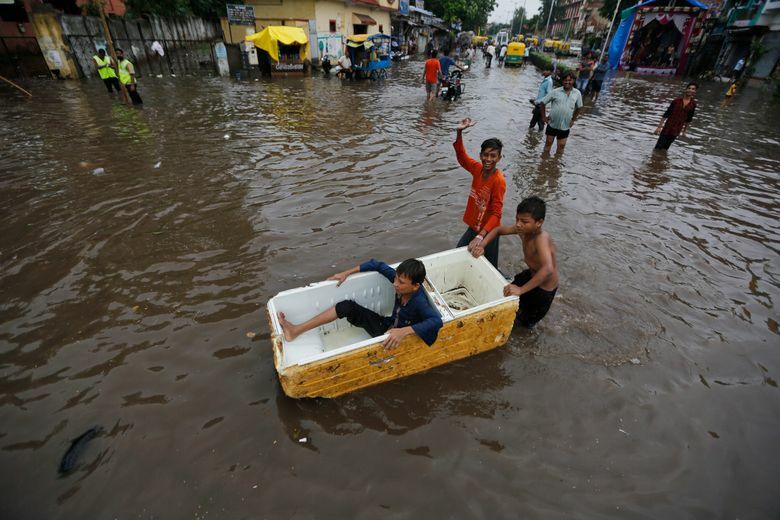 More than 300,000 people have taken shelter in over 1,500 state-run relief camps, officials said. But authorities said they were being inundated with calls for assistance, local media reported. 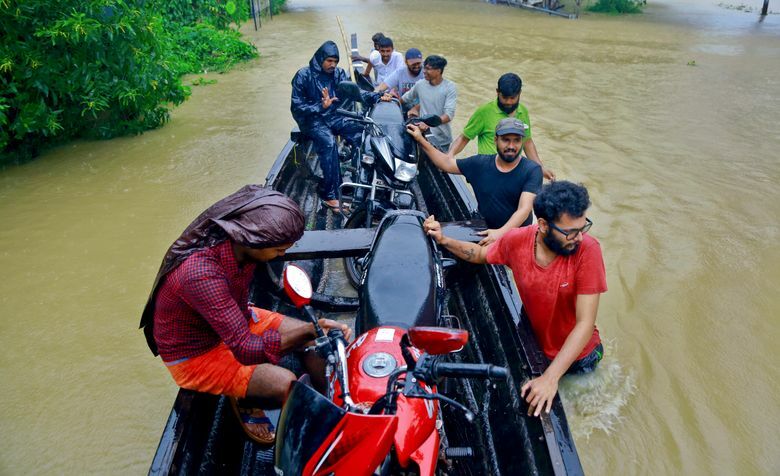 “We are receiving multiple repetitive rescue requests,” the office of the state’s top official, Pinarayi Vijayan, said in a tweet, asking those in need to provide their exact location and nearby landmarks so rescuers can find them. 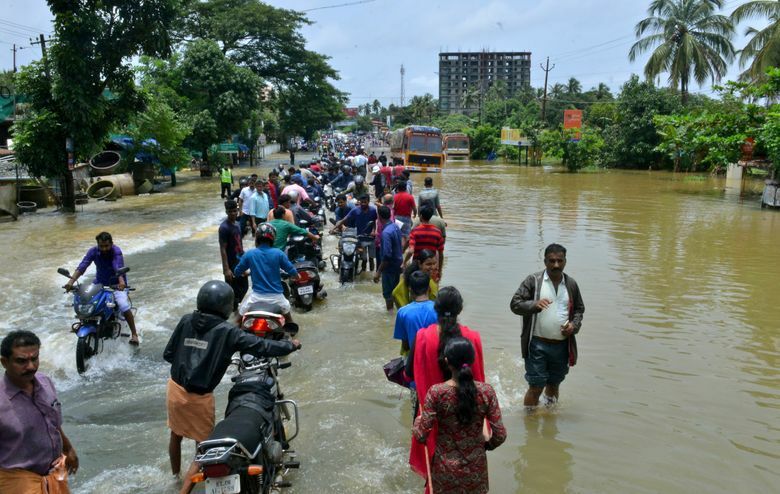 Officials have called it the worst flooding in Kerala in a century, with rainfall in some areas well over double that of a typical monsoon season. 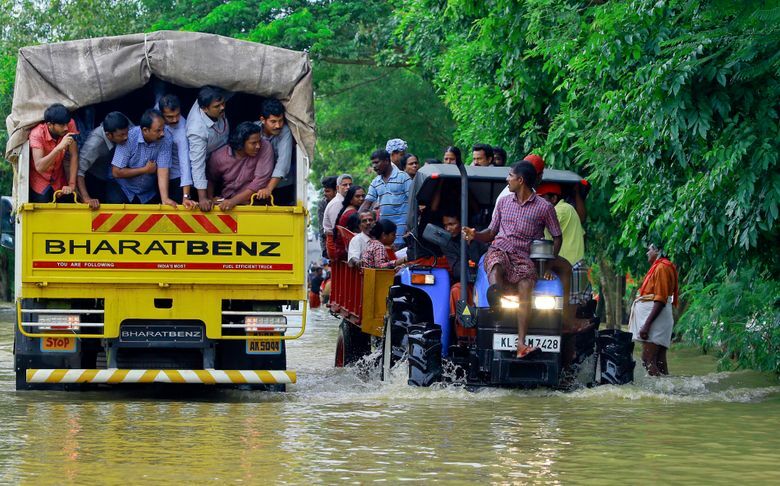 The downpours that started Aug. 8 have triggered floods and landslides and caused homes and bridges to collapse across Kerala, a picturesque state known for its quiet tropical backwaters and beautiful beaches. Officials estimate more than 10,000 kilometers (6,200 miles) of roads have been damaged. One of the state’s major airports, in the city of Kochi, has been closed. Meteorologists expect the rains to ease up over the next few days. 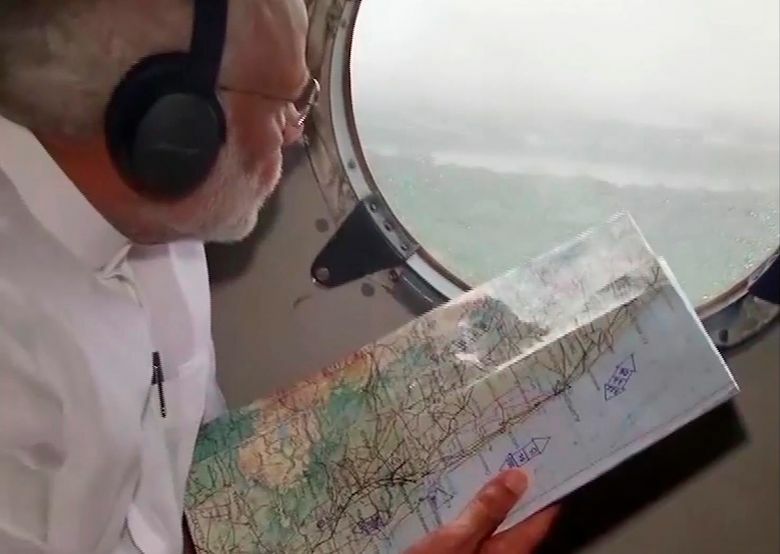 Prime Minister Narendra Modi inspected the flooded landscape from a helicopter and met Saturday with the state’s top officials, promising more than $70 million in aid. 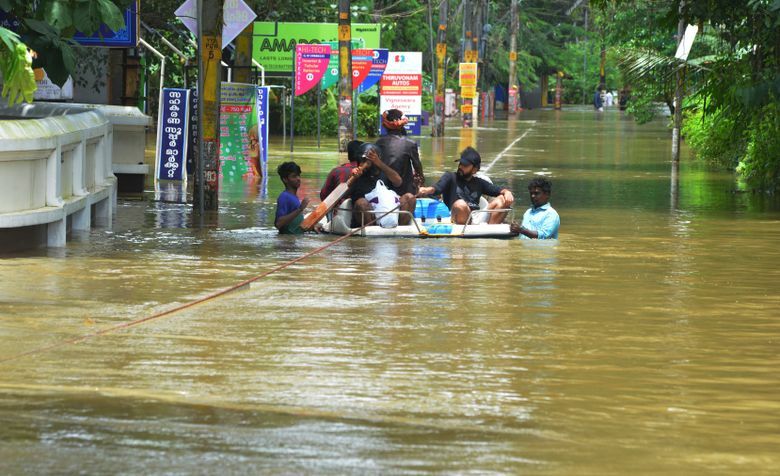 While the central government has dispatched multiple military units to Kerala, state officials are pleading for additional help. “Please ask Modi to give us helicopters, give us helicopters. … Please, please!” state legislator Saji Cherian said on a Kerala-based TV news channel, the Indian Express newspaper reported. Modi said 38 helicopters had been deployed for search and rescue operations in the state, which has a population of more than 33 million. “We all pray for the safety and well-being of the people of Kerala,” he said in a tweet. Initial storm damage estimates were nearly $2.8 billion, Vijayan said. India’s navy said it airlifted a pregnant woman from the floods on Thursday in Kerala and she gave birth to a boy shortly after the rescue. A doctor was lowered to assess the woman before she was lifted into a helicopter, the navy said. 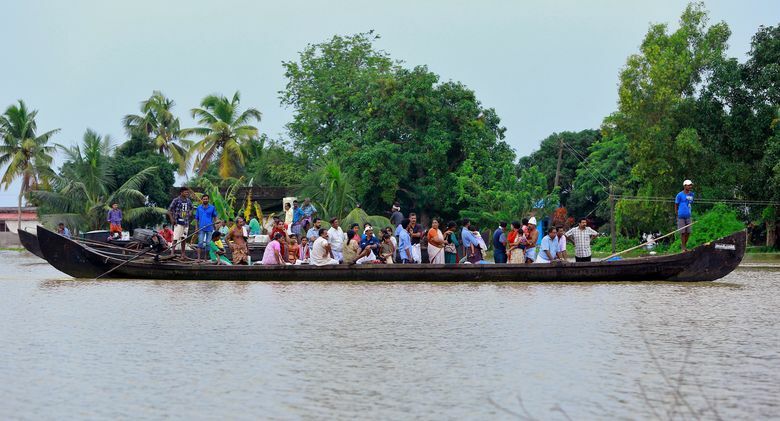 At least 194 people have died in the flooding and 36 more are missing, according to Kerala’s disaster management office. 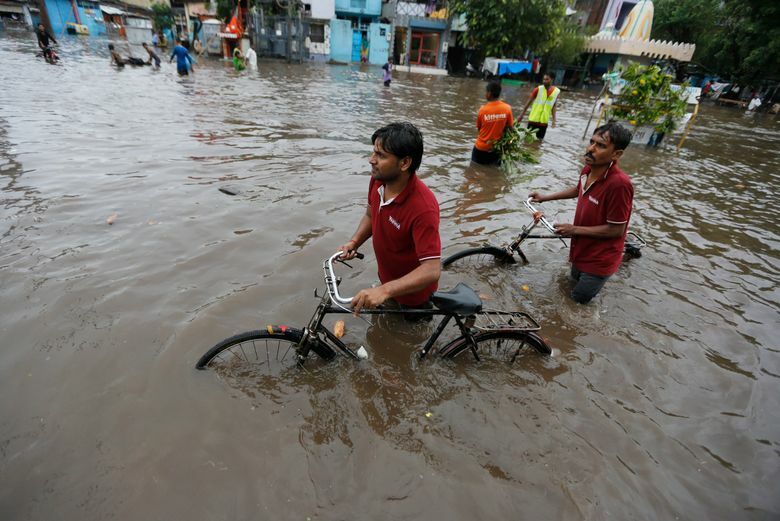 More than 1,000 people have died in seven Indian states since the start of this year’s monsoon season, including more than 300 in Kerala.